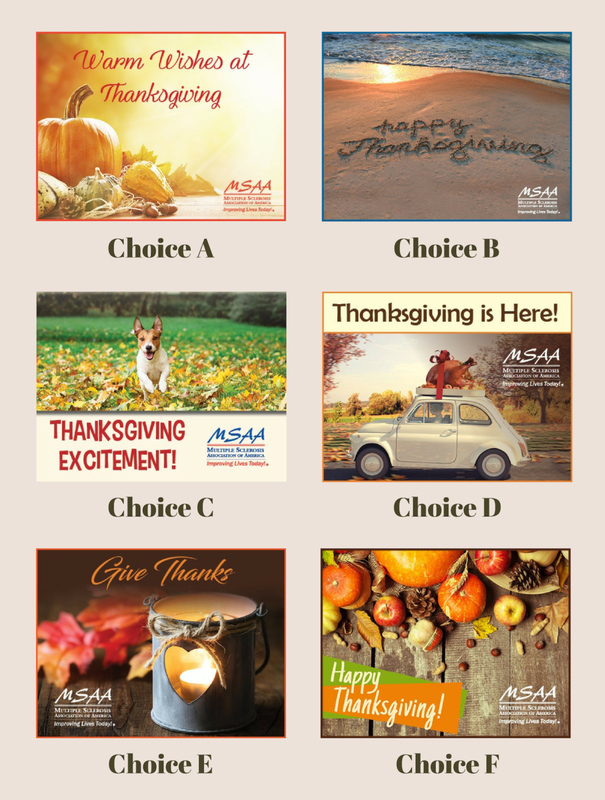 With an increasing number of people asking for our help each year, we invite you to raise awareness about MSAA as you spread holiday wishes to those special to you through our full array of colorful eCards. We hope you enjoy them as much as we do. Here, you can write a message to the people who receive your eCard. Please consider helping everyone affected by multiple sclerosis this holiday season by supporting the Multiple Sclerosis Association of America (MSAA). Send your own card to spread the word about MSAA and also consider making a gift to support the MS community this season and all year round.